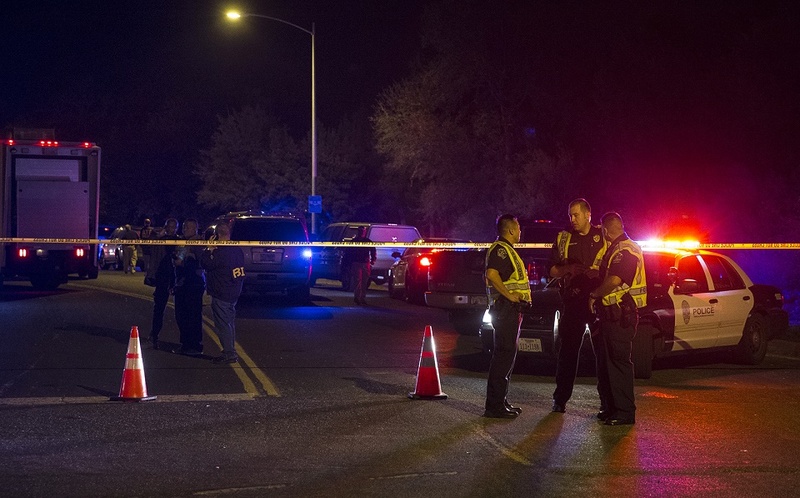 AUSTIN, Texas (CN) — A federal agent’s affidavit unsealed Monday describes how law enforcement identified Mark Anthony Conditt as the suspect in a string of bombings around Austin, Texas, last month that left two people dead and five injured. Conditt, 24, blew himself up as authorities were attempting to apprehend him in his vehicle off a frontage road in Round Rock on March 21. A sworn affidavit by Reynaldo Alatorre Jr., a special agent with the Bureau of Alcohol, Tobacco, Firearms and Explosives, or ATF, was unsealed Monday afternoon in Austin federal court. Though portions of the document are redacted, it gives details about ATF’s investigation into the series of bombings. The affidavit states that the explosive devices allegedly used by Conditt “shared commonalities, such as the delivery method, contents of the explosive device, and the manner of detonation,” and all six devices used shrapnel. The first bombing occurred on the morning of March 2 on the front porch of a home in northeast Austin, killing Anthony S. House. The ATF lab analyzed the powder used in the explosive device, according to the affidavit. Ten days later, on March 12, another bomb exploded inside a home in east Austin. The bomb killed 17-year-old Draylen Mason and injured his mother. Alatorre’s affidavit says the ATF looked at the triggering mechanism in that explosive device. Later that day, another explosion occurred outside a home in southeast Austin. The blast injured a woman and sent her to the hospital. The ATF again analyzed the triggering mechanism in the device, the affidavit states. Then, on the night of March 18, an explosion triggered by a trip wire left two men seriously wounded. The incident occurred in a neighborhood in southwest Austin. A witness who lives in the area said she saw a “Drive Like Your Kids Live Here” yard sign that had not previously been there. Investigators believe the sign was used to conceal the bomb, according to the affidavit. In the early morning of March 20, a package destined for Austin exploded at a FedEx sorting facility in Schertz, which is about 60 miles south of Austin and just outside San Antonio. The explosion caused minor injuries to one employee. Hours later, a suspicious package located at a FedEx facility near the Austin airport was secured by law enforcement without exploding. Analysis of the device showed that it was made of a PVC pipe casing with a metal pipe inside surrounded by shrapnel, the affidavit says. The trigger would ignite the device when a flap of the package was opened. Investigators learned from FedEx that both of the March 20 packages were sent by the same person, a single white male, at a FedEx location in Austin on Brodie Lane. Analysis revealed that all six explosive devices utilized a battery holder with a snap connector. The credit card used to buy the items was issued to Conditt, and video footage from Frye’s showed “that the customer looked to be Mark Conditt,” the affidavit states. On March 13, according to the affidavit, a white male walked into a Home Depot store in Round Rock and bought several signs, including the “Drive Like Your Kids Live Here” sign reported in the March 18 explosion. He also reportedly bought a pack of gloves that matched the ones seen in the FedEx video. The affidavit says a confidential source was 98 percent sure that the customer in the Home Depot footage was Conditt. Law enforcement also conducted surveillance of the Pflugerville address in Conditt’s driver’s license records. They observed a 2002 red Ford Ranger pickup at the home, and noted the items in the bed of the truck were consistent with the items seen in other footage. The ATF confirmed that Conditt did not have a registered destructive device in his name nor one registered to his address. “[H]is possession of a destructive device would therefore be unlawful,” according to the affidavit, and authorities had probable cause to arrest him. A federal criminal complaint charged Conditt with one count of unlawful possession and transfer of a destructive device. The complaint was signed and an arrest warrant was issued just hours before Conditt detonated a bomb and killed himself as authorities tried to arrest him. Federal authorities announced yesterday that the complaint against Conditt has been dismissed after the Travis County medical examiner positively identified his body and released the remains to his family. Such identification was required before the charge could be dismissed. An investigation of computer-related evidence is ongoing, according to the Department of Justice.